One morning not too long ago, I put my clogs on—I keep them in the garage where I keep most of my horse-and-garden-related apparel—and whistled up Roxie, the world’s cutest trail dog. Time to feed Gunsmoke breakfast. The second I set eyes on him I knew something was wrong. He was standing facing the corral gate—not unusual, he knows what time he eats. (All the time.) But he was only standing on three legs. His right front foot was stretched out in front of him in what’s often called “the navicular point,” which describes how a horse stands when one of his front legs hurts, especially if the problem involves the navicular bone. 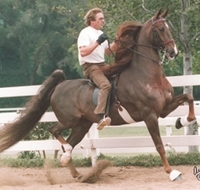 Rather than pick his hoof up and hold it off the ground (tiring), the horse will stretch it out in front of him and shift his weight. He’s trying to support as much of his body weight as he can on his other three legs. Sometimes, if the pain is severe, the horse will allow only the tip of his toe to touch the ground. When Gunner didn’t walk forward to meet me at the gate—me, his food provider—my stomach started churning. As we stared at one another, I tried desperately to remember everything I knew about the “point.” It’s most often associated with navicular, a lameness that originates in the horse’s navicular bone (located in the heel of his foot) and the soft tissue around it. 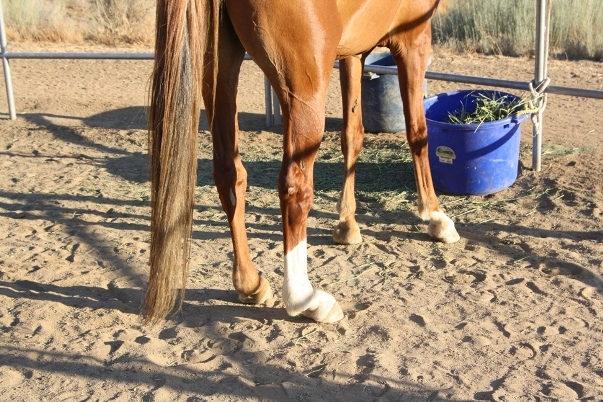 But the “point” can also be caused by other, less serious, hoof and leg problems, and I took comfort in that. Since Gunner didn’t want to walk over to me, I didn’t want him to try to walk over to his feeder. (I could have put the hay in front of him, but I didn’t. Hindsight.) Instead, I abandoned all thoughts of breakfast and ran back to the house, Roxie bounding along beside me—still chewing a few post-breakfast tidbits from the manure pile—her ears flopping, her tongue lolling, the morning sun highlighting her gold and brown coat. Thank goodness one member of my animal family was healthy and pain-free! A quick phone call to Sweetwater Veterinary Clinic—I had, I told the receptionist, an emergency but not a life-threatening one—confirmed that Dr. Mark Williams would be there in half an hour. He was. He usually has Amanda with him, a vet tech who has been with the clinic so long that she probably knows as much as the veterinarians do. She walked into the pipe corral, put the halter over Gunner’s head—and had trouble maneuvering it past his dinner-plate Quarter Horse jaws, just the way I do—and kept him from biting Dr. Mark, whose hoof tester had just elicited an “ouch!” reaction from him. I looked around. Over the years we have given Gunsmoke toys—two big, bouncy balls and three orange traffic cones (bought from Home Depot, thank you, not liberated from a stretch of highway). Gunner had destroyed both balls and the smallest traffic cone by biting them until they came apart. But two cones remained. One was in his corral, the second one was halfway up the hill to mark the spot where John had buried the dead man. Before you dial 911 to turn me in for murder—wait. This “dead man” is a log lying at the bottom of a deep hole, with a chain wrapped around it. John originally sank it so we could fasten Kyle the goat to it. (He couldn’t pull it around, the way he pulled truck tires around.) The theory was, he would nibble up all the weeds in the area. In practice, he missed Prim so much all he did was bawl. He didn’t eat. We had only recently discovered the chain again, and John had used the cone, or what was left of it, to indicate its whereabouts. “How about part of a traffic cone?” I asked. “That will work.” Dr. Mark was already busy at work with his hoof knife. “Can I have a look?” I asked. All the Sweetwater vets want you to ask questions. 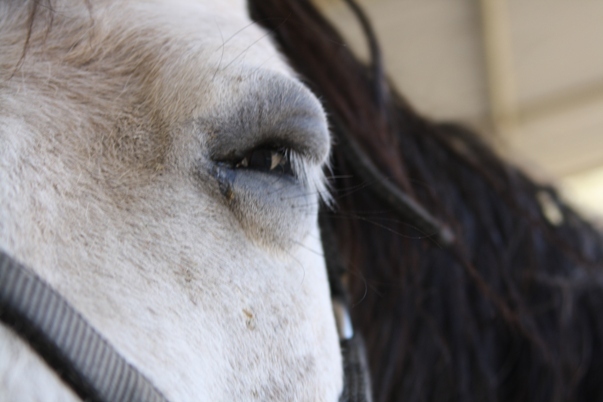 Their theory is, the more you know, the better job you’ll do keeping your horse healthy. Although Dr. Mark had already cut out the abscess itself, and drained the pus, I could still see the hole it had left, about halfway between Gunner’s frog and the outside rim of his hoof. Gunsmoke’s first act after the vets left? He started chewing his bandage. All you kitchen-friendly horse owners out there—here’s a tip for you. I ran back to the house and came back with a bottle of Tabasco sauce. Using my hand, I smeared sauce all over the surface of the bandage. Gunner started to worry it again and then abruptly stopped. The bandage—it dried to some color between pink and beige—stayed in place for the next three days, when Dr. Mark had told me to remove Gunsmoke’s makeshift bootie. My horse was as good as new. If the title of this post sounds familiar to you, it should—it’s the title of a book written by Susan McBane and published in this country by the Lyons Press (2005). 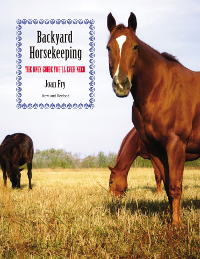 The book is a common-sense look at how to do all the usual horse chores when it gets cold outside—and to judge from Tuesday morning’s headlines, it is frigid outside! Living in California—even its inhospitable high desert—does have its advantages. 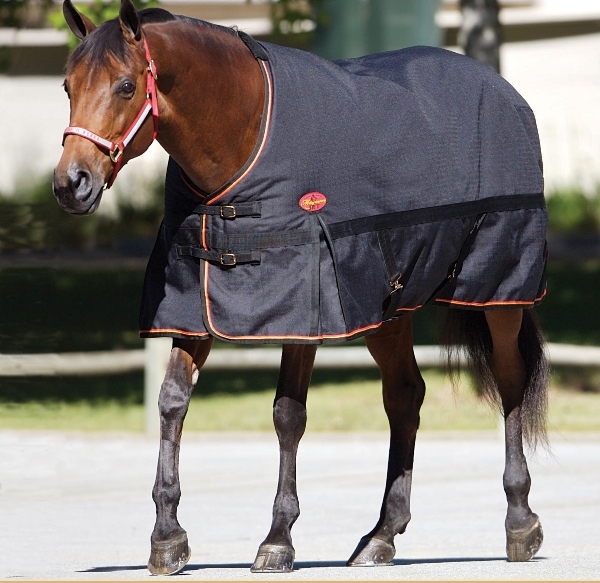 Like many owners, Susan McBane—as well as William Healey, the guest blogger who discussed blanketing in my previous post—advocates blanketing horses in the winter. I do not, except under certain very specific circumstances. While I personally don’t blanket my horses, I would under specific circumstances—if I had an old horse and I couldn’t keep weight on him, for example, or any horse with medical problems. 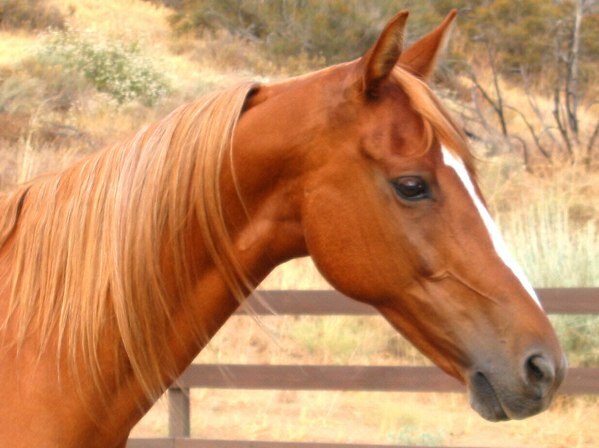 Horses love to run, and one of the best things you can do for your horse every once in a while is—let him run. 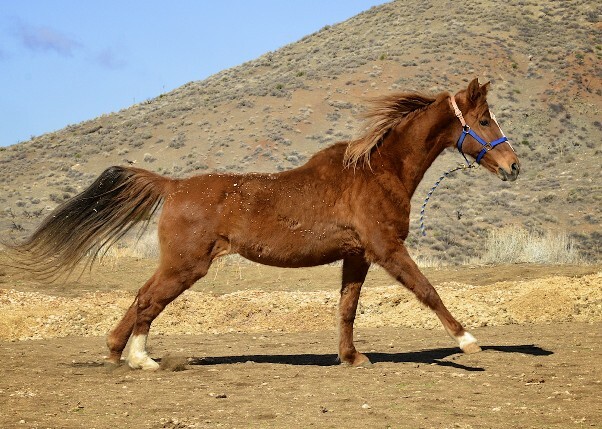 Whether you keep some control of him (a good idea, in most cases), or just turn him loose (galloping uphill is much safer because it allows you to take back control at any time), is between you and your horse. Do you think he’ll stop, or do you know he’ll stop? Since I knew Prim would always stop, I occasionally turned her loose, but only if we were going uphill, the footing was good (packed dirt can be as hard on your horse’s feet as concrete), and we were heading away from home. There’s no feeling quite like it in the world. Freedom, exhilaration, speed, and an almost electrical bond between two species who—for as long as the moment lasts—share the same goal: run as fast as you can. Many horse people (yes, we’re strange) enjoy the smell of horse manure. It’s kind of “essence of horse,” and ranks right up there with the smell of saddle soap, a sniff of freshly baled alfalfa, and the scent of the horse himself. The smell of horse urine, though, falls into another category entirely. It’s called the “yuk” category.